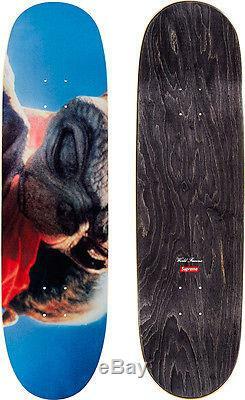 PRINT SKATEBOARD DECK - F/W 2015 COLLECTION - BRAND NEW - SEALED. Print skateboard deck from the fall/winter 2015 collection. Comes in original shrink wrap packaging. PRINT SKATEBOARD DECK F/W 2015 COLLECTION BRAND NEW SEALED" is in sale since Wednesday, September 09, 2015. This item is in the category "Sporting Goods\Outdoor Sports\Skateboarding & Longboarding\Skateboard Parts\Decks". The seller is "the_champions_league" and is located in Las Vegas, Nevada. This item can be shipped to United States, Canada, United Kingdom, Denmark, Romania, Slovakia, Bulgaria, Czech republic, Finland, Hungary, Latvia, Lithuania, Malta, Estonia, Australia, Greece, Portugal, Cyprus, Slovenia, Japan, China, Sweden, South Korea, Indonesia, Taiwan, South africa, Thailand, Belgium, France, Hong Kong, Ireland, Netherlands, Poland, Spain, Italy, Germany, Austria, Russian federation, Israel, Mexico, New Zealand, Philippines, Singapore, Switzerland, Norway, Saudi arabia, Ukraine, United arab emirates, Qatar, Kuwait, Bahrain, Croatia, Malaysia, Brazil, Chile, Colombia, Costa rica, Dominican republic, Panama, Trinidad and tobago, Guatemala, El salvador, Honduras, Jamaica.